“I’ve never worked with an actor more dedicated,” director William Friedkin wrote of von Sydow. In his mid-forties when called upon by Friedkin to play Father Merrin, the title exorcist (Friedkin had nixed the idea of Marlon Brando for the part), von Sydow underwent hours of makeup and changed his upright physical posture to play the over-70-year-old priest. 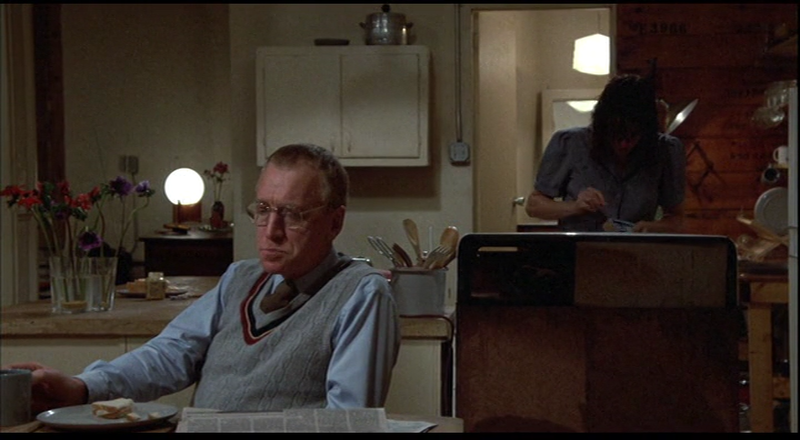 A performance of amazing, quiet authority, von Sydow reprised the role in John Boorman’s much-maligned 1977 “Exorcist II,” and, because his scenes flashed back to a demon origin story, he played the character as much closer to his own real age! Throughout the ‘50s and ‘60s, von Sydow played often-internally tortured men of integrity. But his regal bearing, upright posture, and air of erudition if not craftiness appealed to American directors who wanted slippery Euro-villains. Sydney Pollack employed von Sydow to great effect as one such fellow, a very slick assassin who actually commits the murders that CIA research schnook Robert Redford is supposed to take the rap for. One of the most unusual of the male-cast-dominated military thrillers of the ‘60s and ‘70s, this is a great Euro-ensemble piece in which von Sydow, as a haunted captain, really shines alongside the likes of Francisco Rabal, Vittorio Gassman, Fernando Rey, Jean-Louis Trintignant, and others. These men are all in a crumbling desert outpost (the picture was shot in an old fort in Iran), awaiting the attack of the enemy. Many years ago, von Sydow’s captain saw the light of their swords approaching, and since then…nothing. A truly peculiar and engrossing waiting-for-the-end-of-the-world movie. Another dude-centric military film, this one focusing on French Foreign Legion in the 1920s, only the filmmakers throw in Catherine Deneuve for some relief from the testosterone. Von Sydow plays support to the odd leading pair of Gene Hackman and spaghetti western stalwart Terrence Hill. While Hackman and Hill’s characters, among others, do all the grunt work, von Sydow plays the rather effete French archaeologist they’re assigned to protect in Morocco. Things start to get real when the prior group of diggers is revealed to have had their eyes and tongues cut out. A favorite of Quentin Tarantino’s. Of course. The debut of Max “Paycheck” von Sydow? 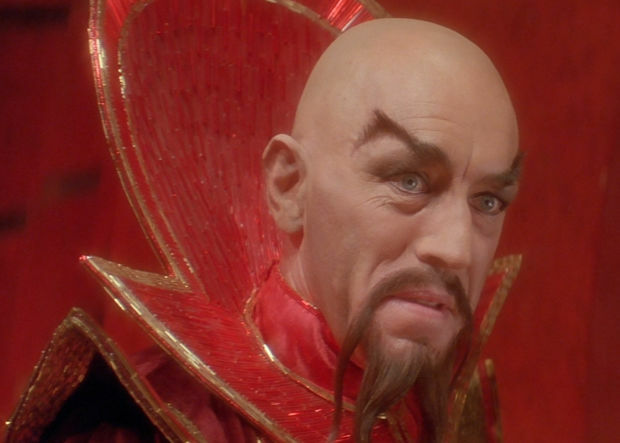 Some might say his delectably hammy turn as space tyrant Ming The Merciless in this campy Dino De Laurentiis production was a cash in, but maybe it’s just the first part of an outrageous Super Villain trilogy. In any event, he looked a sight in his makeup and costume, and brought a very stentorian relish to pronouncing each particular syllable of his ridiculous dialogue. Yes, this rights-to-“Thunderball”-driven attempt at a Bond film starring Sean Connery but not produced by the Eon team was a misfire on any number of levels. But it did give our favorite new “Game of Thrones” cast member an opportunity any actor would jump at: the chance to play arch-bad guy Ernest Stavro Blofeld. Tall, lean von Sydow’s take on the part was a marked contrast to short, plump, Donald Pleasance’s. One of the standout features of an unfortunate novelty picture. “It takes experience to run a brewery…and you have NONE!” von Sydow concludes his Super Villain trilogy playing the arrogant, murderous Brewmeister Smith in this absurdist comedy, starring Dave Thomas and Rick Moranis as definitively dim Canadian “hosers” Doug and Bob MacKenzie. Their greed for beer leads them into a “Hamlet”-derived plot of usurpery, which they manage to squelch in spite of their idiocy. 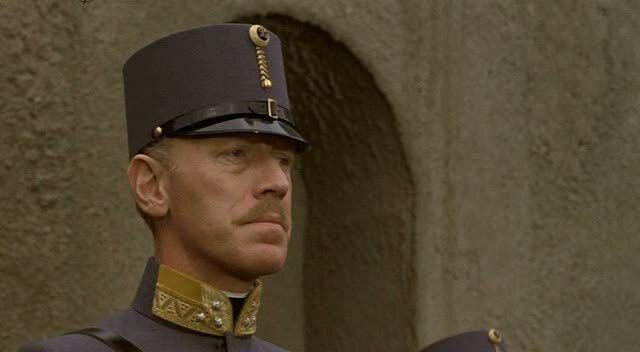 Von Sydow plays his part almost utterly straight, which makes his incomprehension of his idiot foes that much funnier. A movie that deserves more than its cult status. Ingmar Bergman admirer (some might even say idolator!) Woody Allen tapped onetime Bergman main man von Sydow for his warm, ensemble driven comedy drama. He plays arrogant, didactic, practically loft-bound artist Frederick, so confident that he’s got beautiful Lee (Barbara Hershey) under his spell that he can’t notice her discontent. Setting the stage for Lee’s brother-in-law Elliott (Michael Caine) to make his move. It’s complicated, and the heart wants what it wants, and so on. Another excellent example on how von Sydow can make his formidable presence subordinate to the larger cast when he has to. Hard to believe this amazing actor did not receive his first Academy Award nomination until this film. Here he plays Lasse, the father of the young title character, an aging drunk whose migration story from Sweden to Denmark is a lot tougher than any American might expect such a commute would be. von Sydow’s second nomination was for supporting actor in 2011’s “Extremely Loud And Incredibly Close”—an exemplary, which is to say, for von Sydow, typical—performance in a lamentable film. In the 90s and the ‘00s, von Sydow has played scads of dads, granddads, and father-grandfather figures of other stripes as well. His first and so far only teaming with director Martin Scorsese has him playing a mad doctor of the most menacing sort, brandishing a looooong needle as he intones at Leonardo Di Caprio. A cameo, yes, but a very memorable one.